I promised last week that we would be hearing more from the Allison family. It wasn't planned or anything like that......I was simply compiling a CD of some of my favorite blues songs for my listening pleasure and, later, others' listening pleasure. When I was putting them in the order I wanted, it just so happened that I had listed back-to-back songs from Luther Allison and his son, Bernard Allison. 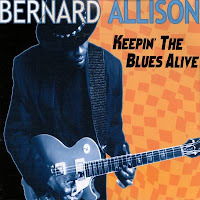 Not long after Luther's death, I was flipping through CDs at a record store and discovered a CD from Bernard, called Keepin' The Blues Alive on a new label called Cannonball Records. Fans of 90's-era blues may recall the Cannonball label, which featured some standout artists and were recognizable due to the tiny "cannonball" that the label placed in their CD cases. The only thing that I really knew about Bernard Allison was that he had appeared on one track of his father's last studio release for Alligator, Reckless. I wasn't aware that he had done anything on his own, but later discovered that he had released several albums on European labels. He's every bit as energetic on stage as his father was and his music fits the same mold. The only difference to me is that Bernard injects a healthy dose of 70's funk and soul into his brand of blues.......the music he grew up with. Keepin' The Blues Alive was a real eye-opener. Released in early 1997, Allison was joined by a select list of Chicago musician friends (drummer Ray "Killer" Allison, bassist Greg Rzab, guitarist Will Crosby, and harmonica player Matthew Skoller) and recorded a powerful set of originals and a few choice cover tunes from his father, Jackie Brenston, Freddie King, and Aron Burton. In fact, it's Burton's song, "Garbage Man," that makes our list this week. 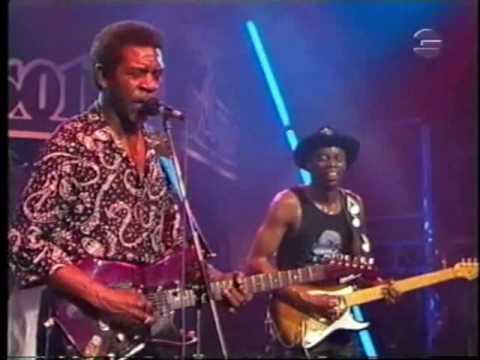 Burton was a Chicago bass guitarist who was a member of Albert Collins' Icebreakers, but also enjoyed a solid solo career with releases on Earwig and Delmark Records during the 90's. "Garbage Man" was released as a single by Cleartone Records in 1993. Allison's version of Burton's song is a nearly-seven minute slow-burner that finds the guitarist really stretching out on guitar. I really liked Allison's vocal as much as I did his guitar work. His vocal style has a bit of the styling of the 70's and 80's funk and soul singers, which gives it a really cool sound to me. Although I've listened to a lot of Bernard's subsequent recordings and they're all very good (be sure to give a listen to his latest from a couple of years ago, In The Mix.....fantastic!! ), "Garbage Man" is one of my favorites of his songs. 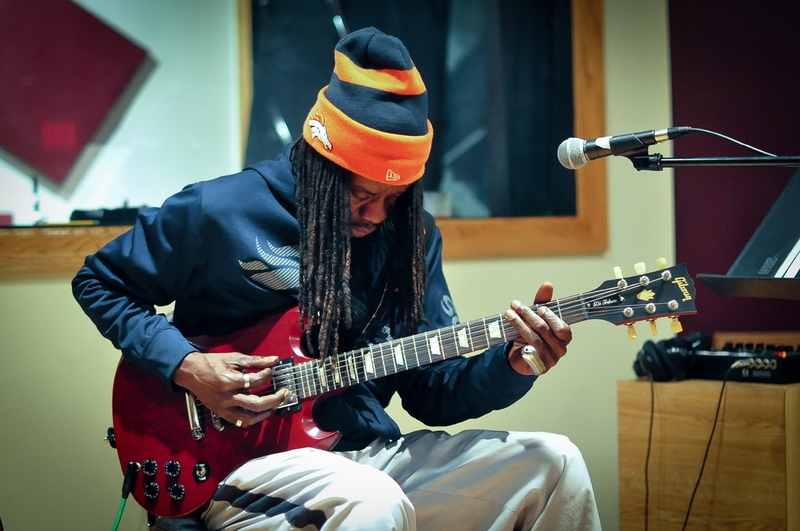 If you would like to hear more from Bernard Allison, check out this "Ten Questions With......" session he did for FBF back in 2015 right after In The Mix was released.